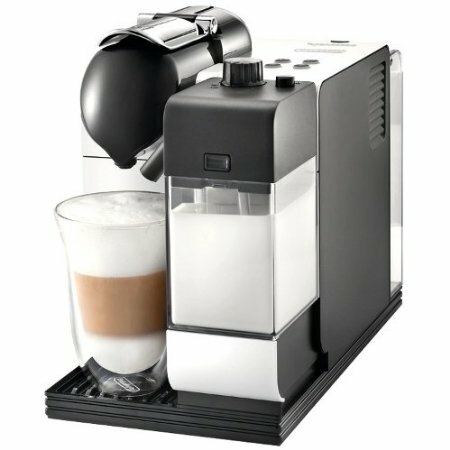 Currently viewing the category: "DeLonghi Espresso Machines"
DeLonghi Dedica Deluxe EC685M vs. Dedica EC680M, What’s New? 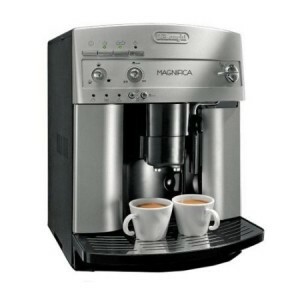 We have already featured DeLonghi’s Dedica espresso maker on our site before. This espresso maker has been a favorite of ours, especially as a choice for beginners, since it packs a lot of great features without any of the complications. 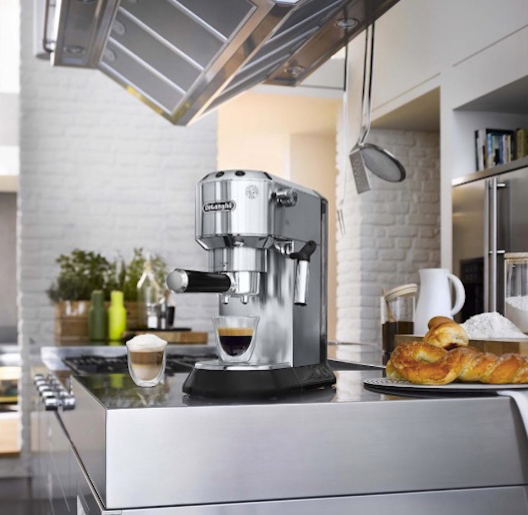 DeLonghi has released an upgraded version of the Dedica, named the Dedica Deluxe EC685M. It looks identical to the Dedica, but it’s more expensive. So is there any new features that are worth the extra bucks? And if you already have a Dedica machine, is it worth it to upgrade? Automatic flow stop, choose from a single or double shot, and the machine will dispense the exact right amount. Adjustable steam frother allows you to adjust the foam and steam level to create different milk styles for your desired coffee drink. Double removable drip tray allows you to accommodate different and taller cup sizes by removing the tray. Very sleek and narrow design makes the machine very convenient to keep in any counter space. Click here to learn more about Dedica Deluxe, read the customer reviews and buy it. What Is The Difference Between DeLonghi Dedica and Dedica Deluxe? The steam wand now has a switch that allows you to adjust the level of foam. You can also just heat the milk without foaming. This is a great option to have more control over your milk texture, even if you’re new to steaming milk. The machine can now accommodate taller cup sizes, such as latte cups. This is thanks to the double drip tray, so you can remove two trays instead of one. Should You Buy The Dedica Deluxe? If this is going to be your first Dedica, then it is certainly worth your consideration. Do keep in mind that it is more expensive than the Dedica model, which lacks the two upgrades mentioned above. If those upgrades are not important to you, then you’ll be just as happy with the Dedica EC680M. If you already own the Dedica EC680M, should you upgrade to the newer model? If your machine is still working and in great shape, we really don’t see the need for the upgrade. Your Dedica still has the best features of the machine, and you’re still getting the same drink quality, so it wouldn’t be worth it to upgrade. We all know the perfect cup of coffee starts with the perfect grind. And Dedica Conical Burr Grinder was designed to make it as easy as possible for you to get the right grind for your cup of coffee. 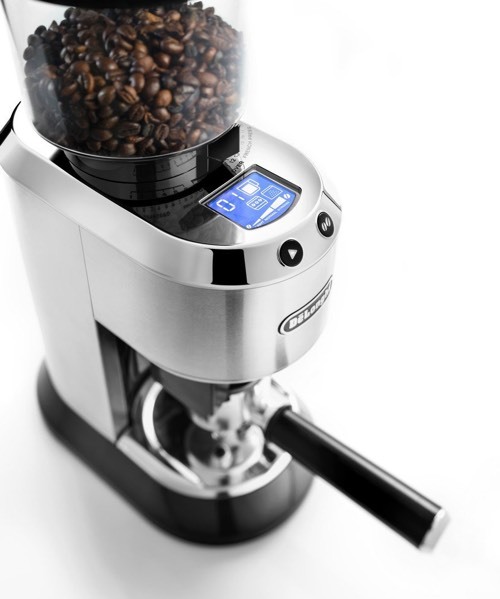 The Dedica grinder has 18 variable grind settings for different brew methods: espresso, drip coffee, pour over or french press, so it’s not just for your espresso needs. An LCD display makes it easy to adjust your settings and get the grind you need. And you have the option to grind right into a portafilter or the included jar. Design wise, the grinder matches the Dedica espresso machine perfectly, so they’ll look beautiful setting on your counter top. Click here to learn more about DeLonghi Dedica Conical Burr Grinder, read the customer reviews and buy it. One of the downsides of the Dedica machine is that it does not include a frothing pitcher. So it would be a good idea to purchase one with your machine. 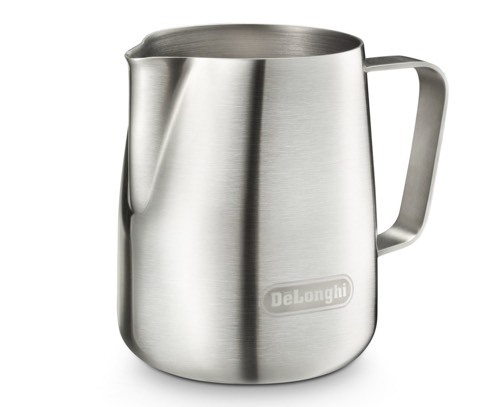 We recommend DeLonghi’s brushed stainless steel jug with 14 oz capacity, although, of course, any jug of your choice will do. 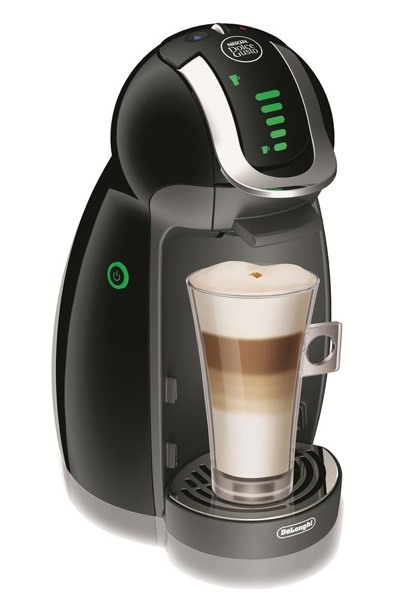 Click here to learn more about DeLonghi Frothing Jug, read the customer reviews and buy it. 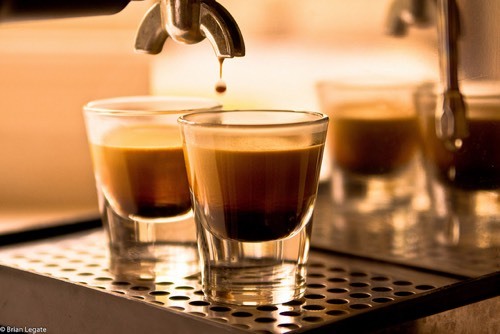 Coffee looks a lot better and enticing in double walled glasses and the floating effect they give your drink. Not only that, but double walled glasses hold the temperature of your drink, whether hot or cold, for a longer time. 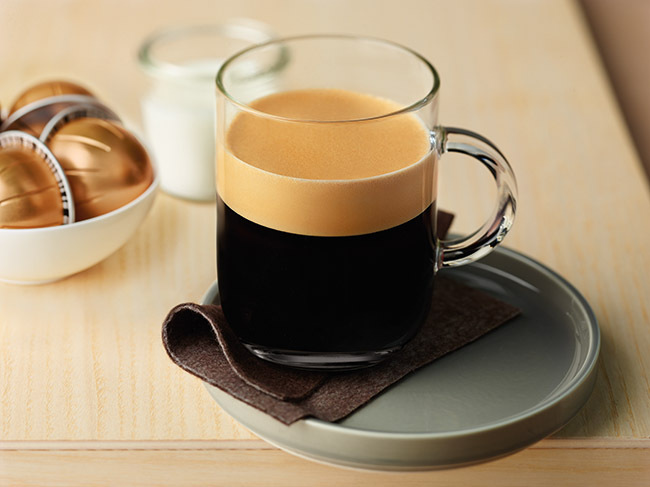 DeLonghi offers these beautiful glasses in many sizes for each coffee drink. Pictured above are the tall glasses for Lattes, sold in a set of 2. 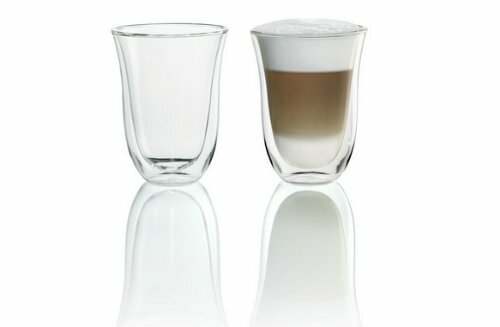 Click here to learn more about DeLonghi Double Walled Latte Glasses, read the customer reviews and buy it. 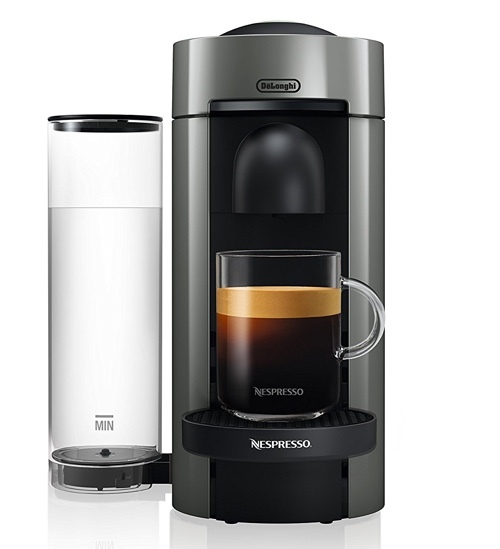 You’ve decided you want a single-serve coffee maker, but you’re torn between two systems: Nespresso or Dolce Gusto? Which of these coffee makers should you buy? In this post, we’ll highlight the features of each system to help you understand which of them is the right choice for you personally. 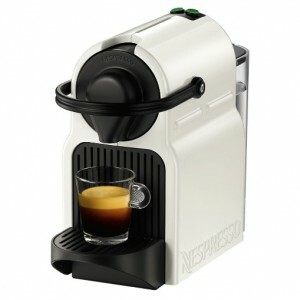 Nespresso has two lines of machines: Nespresso OriginalLine and Nespresso VertuoLine. 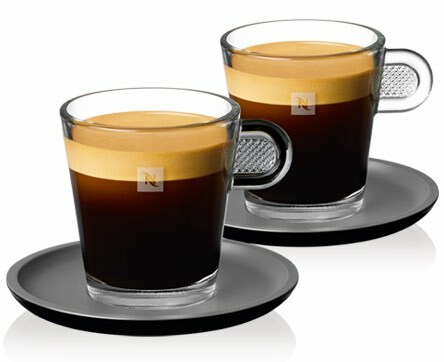 Nespresso OriginalLine makes espresso drinks: Espresso, Cappuccino, Latte, Macchiato and pretty much any specialty coffee drink. 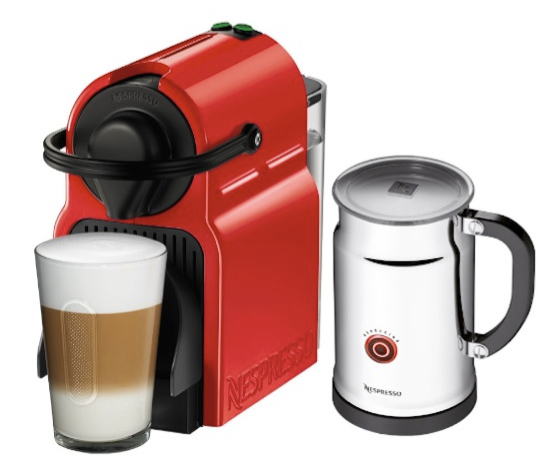 Only Nespresso OriginalLine capsules and Nespresso compatible brands work with these machines. OriginalLine machines are: Inissia, Pixie, CitiZ, Lattissima and Prodigio. 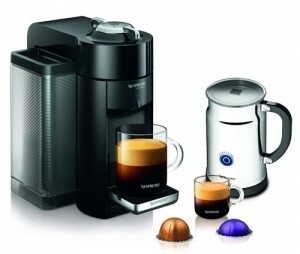 Nespresso VertuoLine is designed to brew espresso as well as coffee. 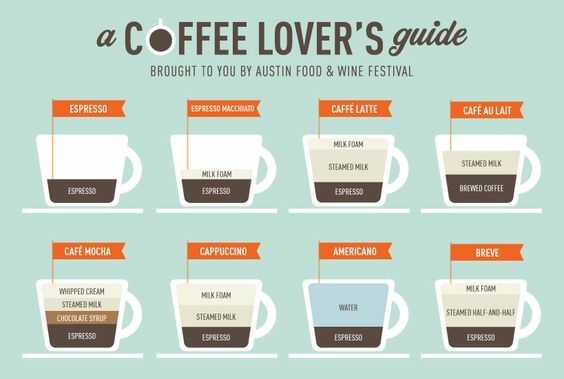 So you can make espresso and espresso-based drinks as well as coffee. Only VertuoLine capsules are compatible with these machines, and they are different to OriginalLine capsules. Machines in this line are VertuoLine, Evoluo and Evoluo Deluxe. 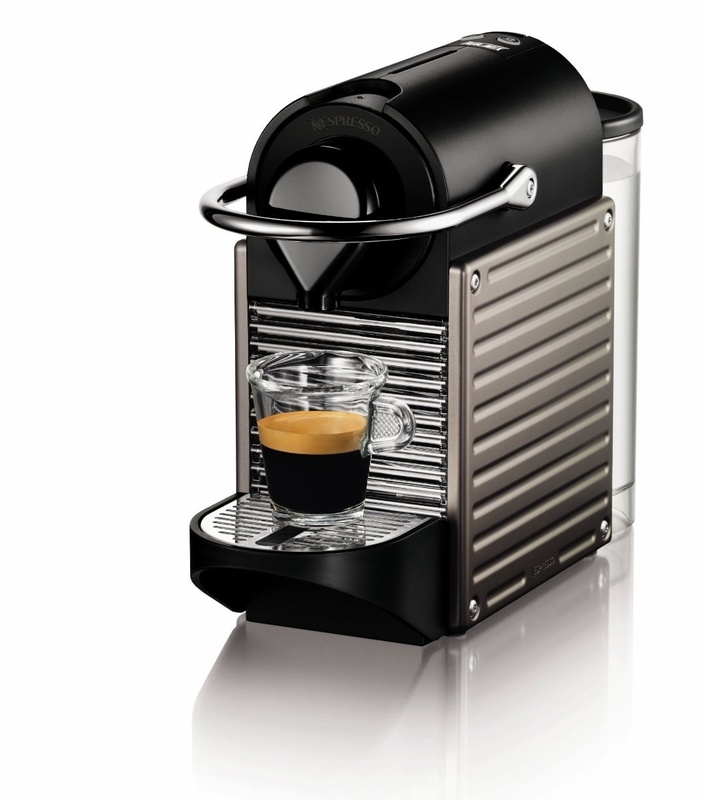 Using a Nespresso machine is as easy as pushing a button. Simply insert your capsule and push the button to brew your selected size. Nespresso Capsules only contain pure coffee ground in them. No powdered milk, sugar or flavors. 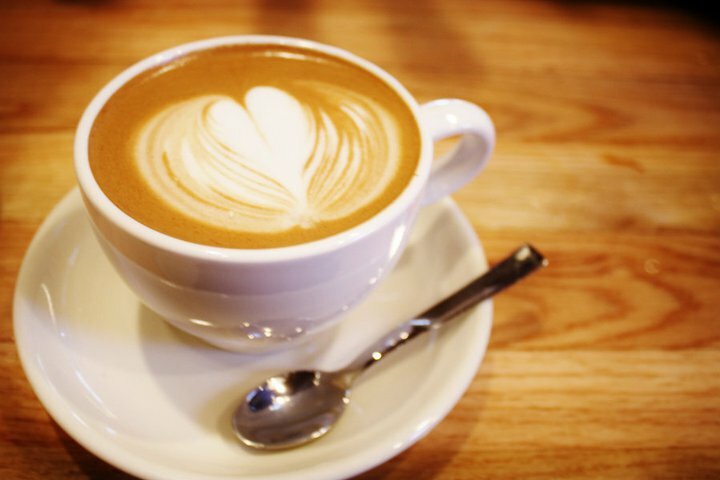 If you want to create a milk-based drink like a Cappuccino, you can use a milk frother to heat and froth the milk. You can use your favorite kind of milk. 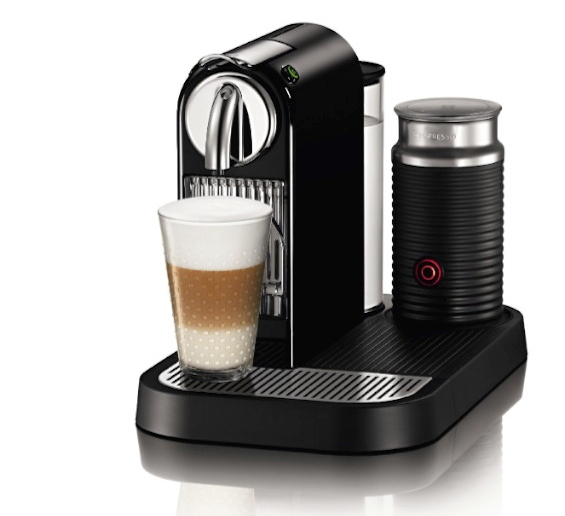 Depending on the Nespresso model you choose, some are bundled with a Nespresso Aeroccino and some have a built-in frother. Or you can always buy your own frother. Nespresso’s capsules are made of aluminum and are recyclable. Whether you choose an OrignalLine or VertuoLine machine, there’s a range of capsules to choose from (intensity and blends). For OriginalLine machines, there are capsules from other brands. There are also some aftermarket refillable pods available so you can brew your own coffee ground. Each Nespresso sleeve includes 10 capsules. You can make pretty much any type of coffee drink, including cappuccino, latte, macchiato, flavored lattes (you’ll have to buy the syrup separately). Nespresso does NOT make hot chocolate or tea drinks. So, it’s strictly coffee. You can also make cold coffee drinks by creating cold froth, which is an option in Aeroccino and some other electric frothers. However, Nespresso only brews hot coffee. 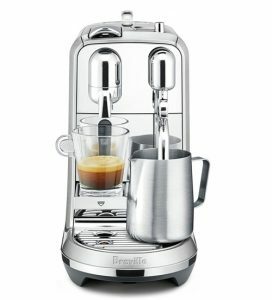 Nespresso Evoluo vs. Vertuoline comparison. Difference Between Evoluo and Evoluo Deluxe. Dolce Gusto has a range of coffee systems. For the most part, they all work the same way. The differences between them are in the size, capacity and design, but all make the same drinks. 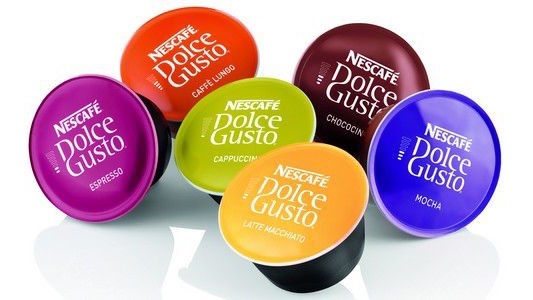 These machines use Nescafe Dolce Gusto capsules exclusively. You can make a variety of coffee drinks using a Dolce Gusto machine, that includes coffee, espresso, cappuccino, latte, flavored coffee drinks. You can also make hot chocolate and tea drinks, as well as iced drinks. If you’re making coffee or espresso (no-milk drink), then all you have to do is insert your capsule in its place, adjust water volume and hit the brew button. For milk based drinks, Dolce Gusto capsule packs include two type of capsules: one is the coffee capsule and the second is the milk capsule. To brew your drink, you’ll have to brew your coffee capsule first, remove it, then brew the milk capsule. None of Dolce Gusto’s machines include a milk frother. Of course, you have the choice to buy a frother from any brand, but for the most part, Dolce Gusto’s coffee drinks are made with the included powdered milk capsules. Amount of capsules in each box range from 8 to 16 depending on the drink. Comparison Between Dolce Gusto Genio vs. Esperta. Which System Is Best To Buy? First thing to note is, we won’t comment on the taste here, as taste is a very subjective thing. 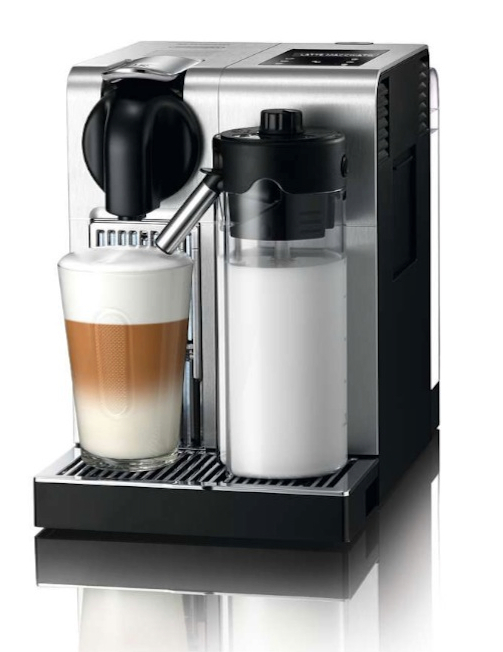 When making a Cappuccino using Nespresso, you’ll use an espresso capsule with your choice of fresh milk that you froth right before you drink. 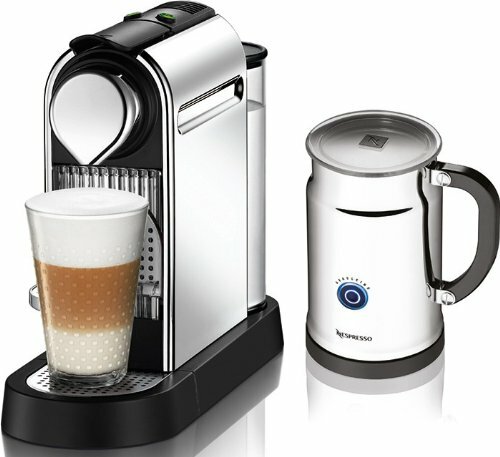 Making a Cappuccino using Dolce Gusto, you’ll be using an espresso capsule and a milk capsule. This powdered milk capsule effects the taste of the drink. The milk capsule can also include sugar and artificial or natural flavors in it, if that’s something that might be of interest to you, check the ingredients before buying. 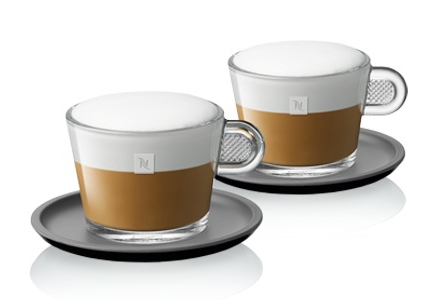 When using a Nespresso, there’s less steps to making a drink. 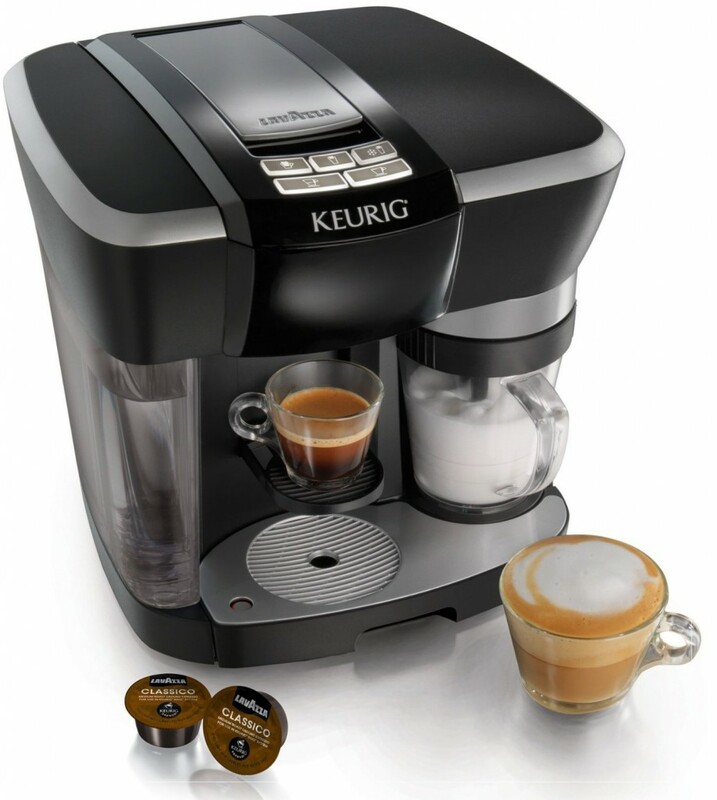 You brew a shot of espresso or coffee with a touch of a button. Capsules are automatically ejected into a used capsule drawer, so it’s mess-free too. Insert the milk capsule, adjust the bars to dispense the required amount of water then brew. Manually remove the capsule. Insert the coffee capsule, adjust the bars, then brew. There’s no drawer to collect used capsules, although some Dolce Gusto models include a bin for used capsule, but you still have to take out the capsule out of the machine manually. 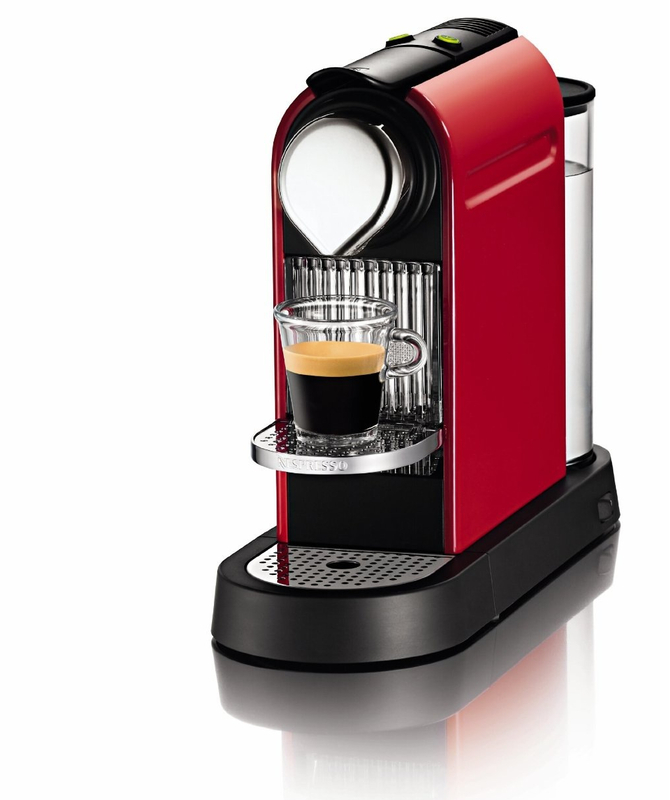 We prefer Nespresso over Dolce Gusto for its ease of use, mess-free process and the freshness of its coffee. The capsules for Nespresso are slightly more expensive, but you certainly get what you pay for. With Nespresso, you also can control what ingredients go into your coffee, which makes a better choice for someone who is calorie or sugar conscious. 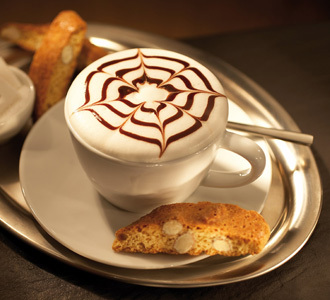 A Cappuccino is a popular coffee drink that is made up of espresso, milk and foam. A traditional Cappuccino is made of 1/3 Espresso, 1/3 steamed milk and 1/3 foam. To make a Cappuccino as authentic as an Italian one, the milk has to be steamed. But using an electric foamer makes good foam and makes a great alternative to make a Cappuccino at home. Does a Cappuccino Have Caffeine In It? Yes, it does. Cappuccino has a shot of espresso in it, and a shot of 2 oz espresso has about 80 ml of caffeine in it. When it comes to coffee drinks, the main difference is the amount of milk and how it compares to the amount of milk and foam in it. In a Cappuccino, you have 1/3 espresso, 1/3 steamed milk and 1/3 foam. In a Latte, has a shot of espresso, milk and only a little bit of foam on top. The amount of milk here is more than the espresso and foam. Wet vs. Dry vs. Bone-Dry Cappuccino, What’s The Difference? As general rule, when it a coffee drink is referred to as ‘wet’ then it probably has a more of a creamier texture than a ‘dry’ drink, which will most likely have less milk. In a traditional Cappuccino, you have equal parts of espresso, milk and foam. A wet Cappuccino has less foam and more steamed milk. A dry Cappuccino is the opposite, it has less steamed milk and more foam. a bone-dry Cappuccino is espresso with foam only, no steamed milk. Is a Bone Dry Cappuccino The Same as an Espresso Macchiato? No it’s not. While a Dry Cappuccino has espresso and foam only, an Espresso Macchiato has espresso and a dollop of lightly foamed milk, similar of the foam of a latte. Now we’ve explained all kinds of possible Cappuccino drinks, the question is, how can you make all these delicious coffee drinks at home? Can I Make a Cappuccino Without a Machine? This is the most common question we get. Is it possible to make a Cappuccino without a machine? 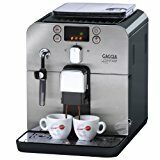 Because the base of every Cappuccino is espresso, and it’s impossible to have espresso without a machine, then you need an espresso machine for making Cappuccino and other coffee drinks. What’s The Best Way To Make a Cappuccino at Home? We’ve already established the fact that to make an authentic cup of Cappuccino you’d need an espresso machine. Luckily, espresso machines are available for every budget, so you shouldn’t be worried about breaking the bank for a cup of Cappuccino at home. 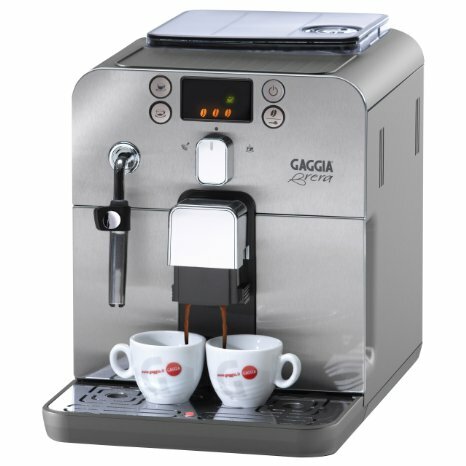 A traditional style, manual or semi-automatic espresso machine. 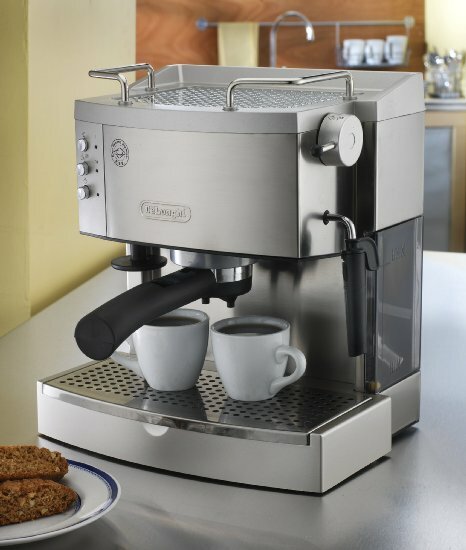 A single-serve espresso machine is the easiest option to use. 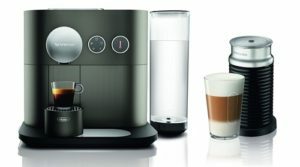 It uses pre-measured coffee pods and makes your desired drink with a touch of a button, so there’s no work on your part. 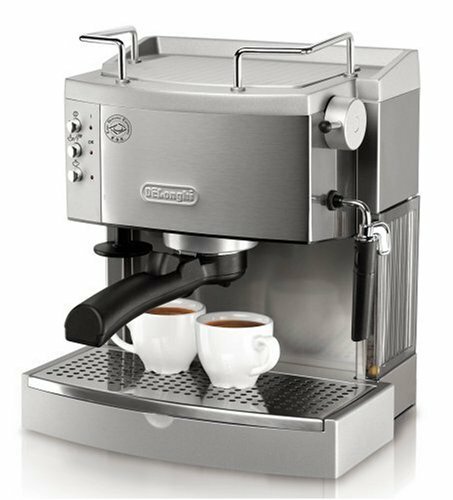 A manual or semi-automatic espresso machine is what you’d see at a coffee shop, but on a smaller scale for the home user. It uses ground coffee and you have to manually brew your shot and froth your milk. The most affordable and compact Nespresso machine. The Inissia is a very popular choice right now. The machine uses Nespresso capsules to brew a single serve of an Espresso or Lungo automatically. 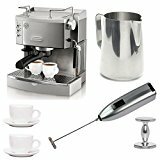 The bundled Aeroccino milk frother heats and froths milk automatically, either for a Cappuccino (with more froth) or Latte (less froth and creamier texture). It can also make cold froth for iced drinks, all with a touch of a button. 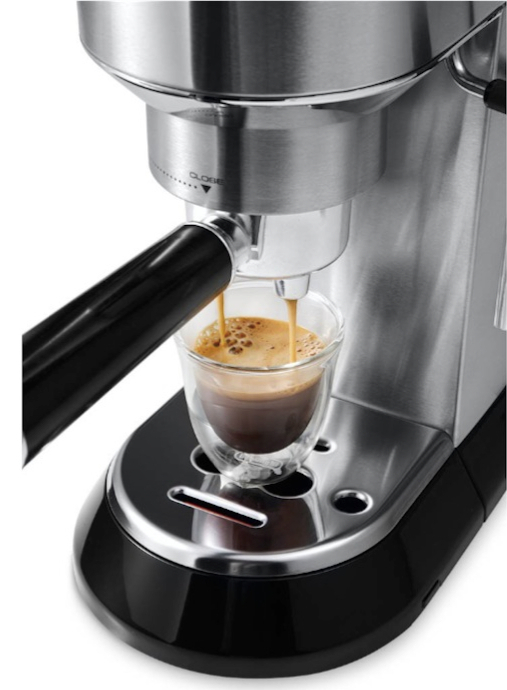 Click here to learn everything about the Inissia Espresso Maker. 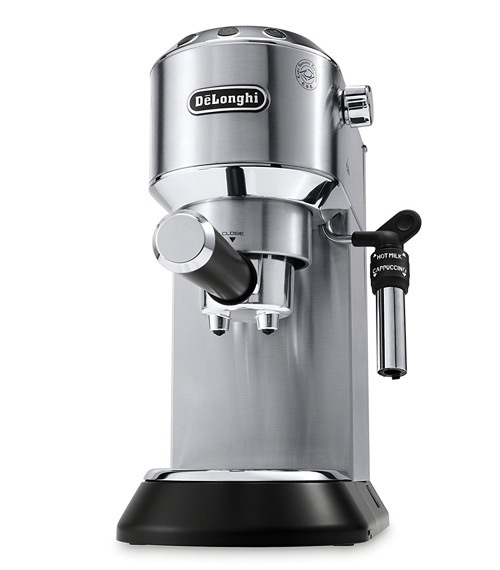 The DeLonghi Dedica is a very slim semi-automatic espresso maker. You can create your shot manually (manual start and stop of the shot) or automatically as the machine is pre-set to the perfect dose. The steam wand allows you to manually heat and froth your milk. The Dedica makes an excellent choice for a beginner user. This espresso maker by Mr. Coffee combines the best of both worlds. 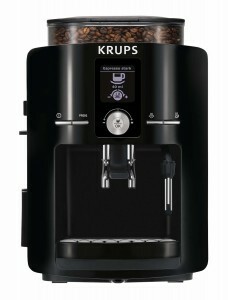 It has the classic protafilter and uses coffee ground, but it also has automatic brewing and milk frothing. It has a dedicated button for each coffee drink, a detachable milk reservoir and it includes all accessories for you to get started right away: portafilter with both single and double shot filters, coffee measuring scoop and a tamper. 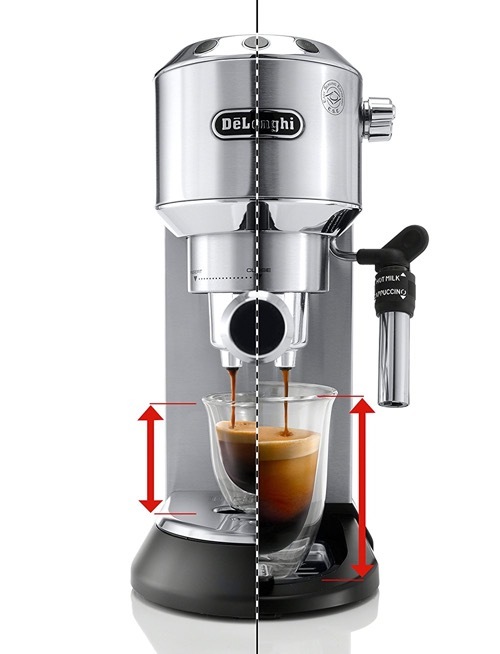 DeLonghi EC702 or EC680 Dedica, Which Should You Buy? 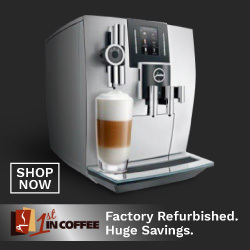 Not long ago, we’ve featured the De’Longhi Dedica espresso machine. It is certainly an excellent machine with a beautiful design, but how does it compare to the classic and most popular DeLonghi EC702? This is what we’ll find out in this post! When it comes to pressure, both the EC702 and Dedica offer 15 bars of pressure. Providing a nice and full espresso extract. Both machines can use ground coffee or e.s.e pods and can extract a single or double shot at the same time. The Dedica has a solid full stainless steel body construction, it is also very slim in design, almost half as wide as the EC702. The EC702 has a mixture of plastic and stainless steel body, plastic being more than the stainless steel. 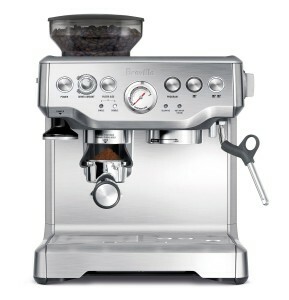 It has a classic espresso machine design. The portafilter head on the Dedica is fully stainless steel, where on the EC702, the part where the coffee comes out is plastic. 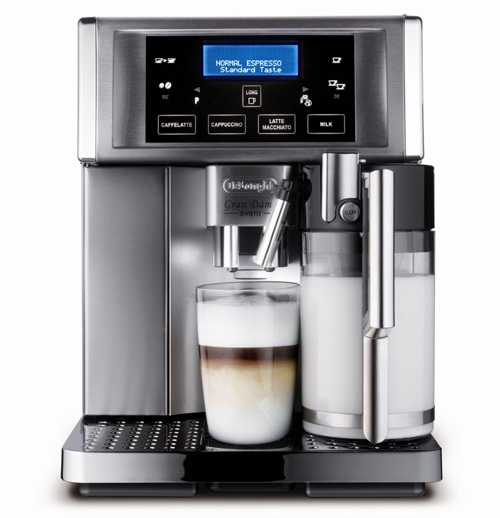 Click here to learn more about the DeLonghi EC702, read the customer reviews and buy it. 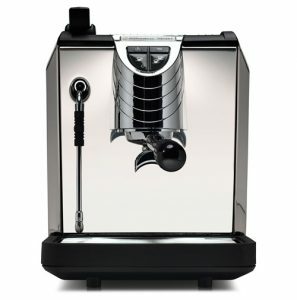 Should I Buy the DeLonghi Dedica or EC702? If it’s within your budget, you’re better off going for the Dedica as it will last longer, therefor giving you more bang for your buck. The durable construction, and the slim and sleek design are absolutely worth it. However, if you’re on a tight budget, you can go for the EC702 and get decent results. 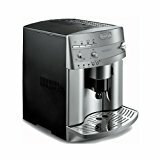 As a popular beginner’s espresso maker, the DeLonghi EC702 is often compared to many espresso machines from other brands. 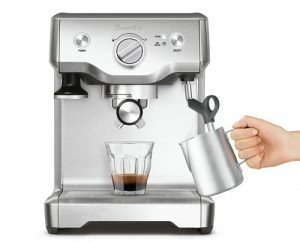 In this post, we’ll be looking at a comparison between it and the Breville Cafe Roma, which we’ve already compared to another espresso maker, the Saeco Poemia. These comparisons should give you enough information to decide between these great entry-level machines with affordable prices. 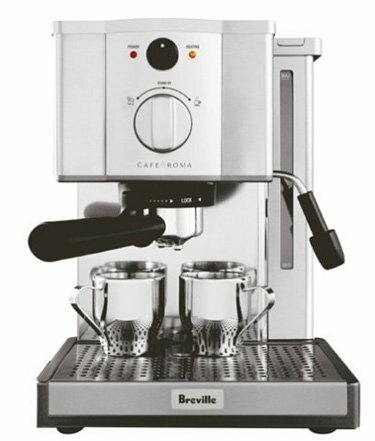 Both the DeLonghi EC702 and Breville Cafe Roma feature stainless steel and plastic exteriors, but the Cafe Roma does have more stainless steel than the EC702. 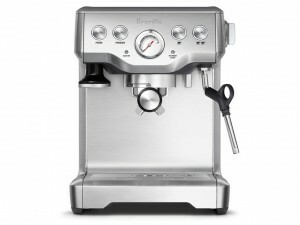 Size wise, the Breville Cafe Roma is smaller in size at 9 by 9 by 12 inches vs. 11.25″ x 8.19″ x 12.5 for the EC702. Control Panel: The Cafe Roma uses a classic dial knob while the DeLonghi EC702 uses push buttons. Both machines use 15 bar pump pressure to extract espresso. Both have almost the same water tank capacity at around 40 to 44 ounces. Both feature enhanced milk frothers for better milk textures. 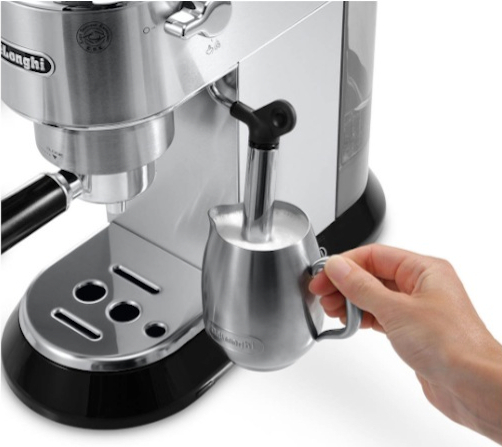 The Breville Cafe Roma includes a set of 2 stainless steel espresso cups and a frothing jug. 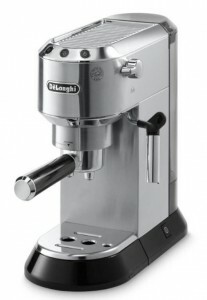 The DeLonghi EC702 does not include any extra accessories with it. 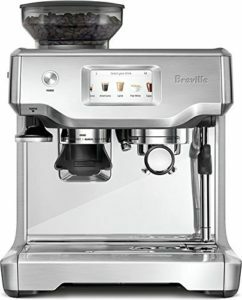 Click here to learn more about the Breville Cafe Roma, read the customer reviews and buy it. Which Is Best To Buy? 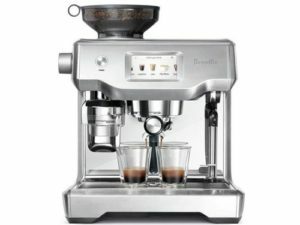 The Breville Cafe Roma or DeLonghi EC702? Performance wise, you should expect the same results. Both machines have nearly the same capacity in water reservoirs and they do operate the same way. Check the prices on each machine and find the best one for your budget. DeLonghi has always been a maker of really great at-home espresso machines, many we’ve already features and you can see here. But there’s something distinctly different about the EC680 Dedica, and that is the slim, sleek and polished design. Thermoblock heating system takes only 40 seconds to heat up. Cappuccino system allows you to create barista like foam for cappuccinos and lattes. Control panel has 3 illuminated buttons. Can be used with ground coffee or e.s.e pods. Self-priming feature keeps the machine always ready to use. On top of the machine is a cup warmer where you’ll be able to keep your espresso cups and the machine will keep it warm and ready to use. At the back is a clear water tank that can be easily monitored for water level. The drip tray is removable for easy cleaning. The milk frother is what you would expect from DeLonghi, their Cappuccino System is included in many of their machines. 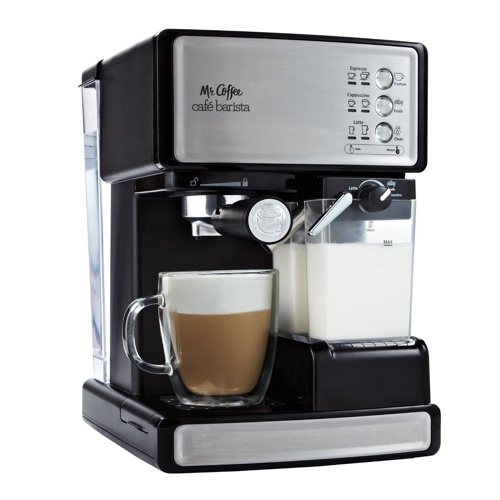 It swivels, mixes steam, air and milk to produce a creamy foam for a delicious cup of Cappuccino or Latte. Included with the machines all filters required for a single or double shot preparation. There’s also a filter for E.S.E pods, which are great if you’re looking for a quick shot without having to measure your coffee. Are There Any Downsides To The DeLonghi Dedica Espresso Machine? One thing that might be annoying to some people is that the maximum cup height the machine can accommodate is 3″. So if you’re someone who likes their coffee in a large mug, you’ll have to brew your shots separately then pour them into the mug, however, you’ll be able to froth the milk directly in the mug. You’ll see that the machine is able to extract espresso with a nice crema on top. Quick start up and quick steam prep. time. The frother creates a lovely froth of milk with ease. Make sure to add the cool double-walled glass you see in the video, available by Bodum or DeLonghi, to your purchase! Both the Cuisinart EM-100 and the DeLonghi EC702 Espresso Makers are part of our best espresso machines for budgets under $200. Since these two are the most popular choices, we thought we’d compare them to each other to help you further with your decision. 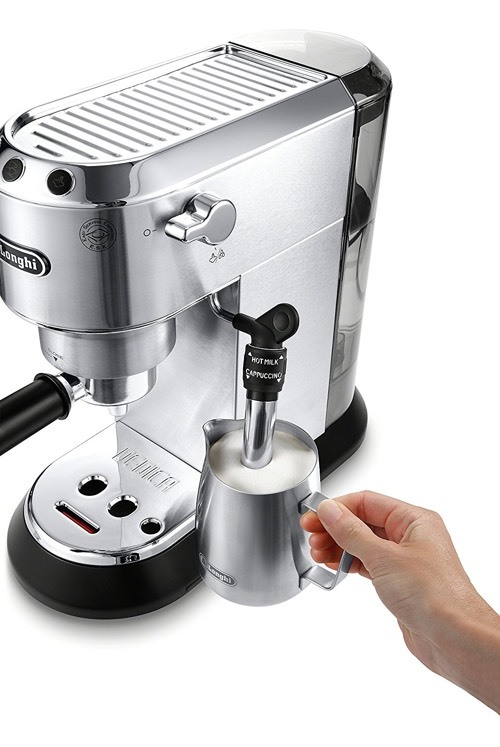 Cuisinart vs. DeLonghi Espresso Makers, What Is The Difference? These two machines are quite close when it comes to features and quality. 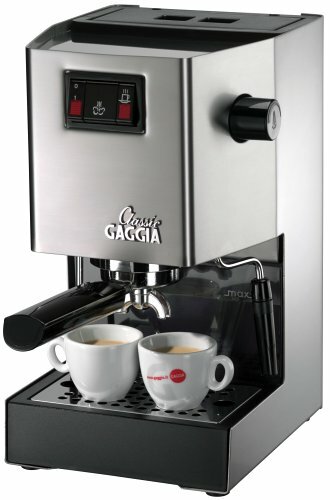 Both are decent beginner’s espresso machines and are priced reasonably for someone with a budget under $200. Includes different filters to use ground coffee or E.S.E pods. Built-in steam wand for milk frothing. As you can see, the basic features are identical. So what’s the difference between them? 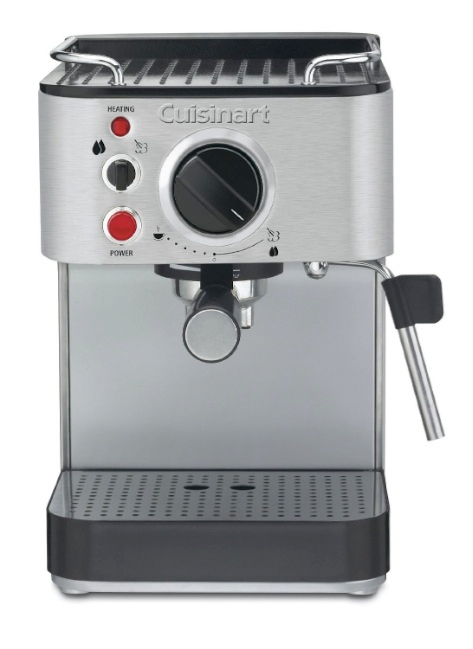 Water reservoir: The Cuisinart has a larger 53 ounce water tank, vs. a 44-ounce water tank on the DeLonghi EC702. Included Accessories: The Cuisinart includes everything you need to get started; a tamping tool and frothing jug as well as different filter sizes for single, double or pod coffee. The DeLonghi only includes the filters, but it does have a built-in tamper. Which Should I Buy? The Cuisinart EM-100 or the DeLonghi EC702? As far as we can see, both machines are pretty identical in how they work. The Cuisinart is slightly less expensive and includes more accessories, giving you more value for your money. Click here to learn more about the Cuisinart EM100, read the customer reviews and buy it.